Which of the following is your favourite album? One interesting thing about Draconian, is that they quote MDB as one of their main influence. It's been a while since I wanted to create a topic about this band. 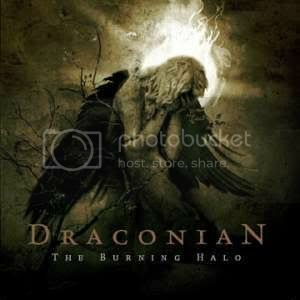 I know that most of you really enjoy listenning Draconian, and so do I. With their last album, Turning Season Within, I thought it was time to share our impression about it and about all the discography as well. I personally love most of their work, and I wish to have the opportunity to see them live someday. Did you manage to see them already ? Here is a brief biography of the band found on wiki. Give your opinion! In May 1994, drummer and vocalist Johan Ericson, bassist and vocalist Jesper Stolpe and guitarist Andy Hindenäs assembled the band Kerberos, initially playing death metal with black metal influences. Seven months later, lead vocalist and lyricist Anders Jacobsson joined the band, and its name changed to Draconian. Their first demo — Shades of a Lost Moon — was recorded on October, 1995, a week subsequent to their first live concert. The demo counted with flutist and vocalist Jessica Eriksson, keyboardist and vocalist Susanne Arvidsson and with a special participation of Andreas Haag on the introductory section of "My Nemesis". The album was released on February of 1996. The band was then joined by guitarist Magnus Bergström. No recording contract was obtained with Shades of a Lost Moon, so in early 1997 the band proceeded to record their second demo, entitled In Glorious Victory. The band, however, became discontented with the quality of the recording and discontinued the release. In the following months, two members of Draconian had to complete their military service, slowing down the progress of the band. Their rehearsals, however, continued to some degree. Susanne Arvidsson left the band due to personal reasons and was replaced by Andreas Karlsson. Both in 1998 and 1999, the band made concerts. After receiving positive reactions, they decided to enter studio once more. In August of 1999, Draconian recorded Closed Eye of Paradise, an album dealing mostly with the theme of Lucifer and his fallen angels. Susanne Arvidsson made guest vocal appearances on this release. The album was, however, badly produced, and the band decided to spend time polishing it before a release was attempted. Between May and June of 2000, Andreas Karlsson, Anders Jacobsson, and Johan Ericson worked on the recorded material, improving the mix of the instruments and correcting effects. The demo was then released. Draconian's style had by then become slower and darker, and reflecting this, the 2-track promotional Frozen Features was released on CD format and over the internet. Guitarist Andy Hindenäs left the band and was replaced by drummer Johan Ericson; drums were then left to Jerry Torstensson, who joined the band. Concurrent with these line-up changes, the band's demo was receiving positive feedback from critics of the gothic metal scene. A final demo entitled Dark Oceans We Cry was recorded in 2002, being followed by a contract with label Napalm Records. The debut album Where Lovers Mourn was recorded under the supervision of Chris Silver (ex-Sundown and Cemetary) in July 2003 and was released three months later. Most of the songs were re-recordings of their earlier compositions. A support tour followed. 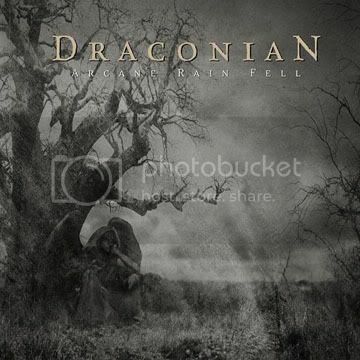 Draconian's next release was the concept album Arcane Rain Fell, from 2005, which apart from new songs features a new version of their 15-minute long epic "Death, Come Near Me", and also counts with Ryan Henry (from Necare) as a guest. They released The Burning Halo in 2006 after several delays. 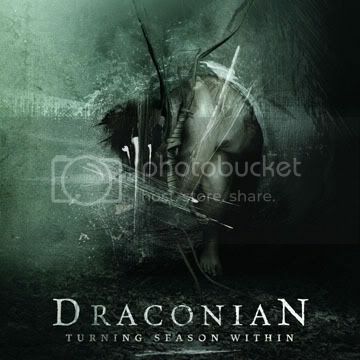 In September 2007, Draconian began recording their fourth album, Turning Season Within at the Fascination Street Studios in Örebro with producers Jens Bogren and David Castillo (Opeth, Katatonia). I added a poll as well. Very tough choice indeed^^, no need to mention it. Last edited by DarkLink on Tue Apr 15, 2008 3:33 pm, edited 2 times in total. I still haven't heard all their albums. Should I vote? MySanityDoesFly wrote: I still haven't heard all their albums. Should I vote? I'm sure I have. I only have the first and last albums. Turning Season Within is their best by far, and all who say different are wrong! I voted for "Turning Season Within" its the only album i've heard! and i think its great..and i know another song for em, i also like it its "The Cry Of Silence". what is reality when you're always lost in your dreams. I think that their gener is far to be "Death\Doom"or"Black\Doom"or"Funeral\Doom"....or any Doom Gener...Actually I can't determine what is thier gener..! !.But i like them.. I've heard the demo recordings long ago. Can't remember what I thought about them. Although, if I'm not mistaken more than one song was re-recorded for the first album. PieceOfArt wrote: I've heard the demo recordings long ago. Can't remember what I thought about them. Although, if I'm not mistaken more than one song was re-recorded for the first album. I voted Arcane Rain Fell, they've yet to beat it. Their latest, Turning Season Within, I found deadly boring and generic I'm afraid. the last album "Turning Season Within"..is great.. The Burning Halo is the best one according to me, except 'Forever My Queen'. It doesn't fit in the album and doesn't sound like the draconian we are used to. I can't enjoy listening to this one.